When you glance at your Goodyears, your tire tread, it’s pretty easy to tell if they have become worn and need to be replaced. However those delicate broken ring prongs which get worn daily and go everywhere with you aren’t so easy to check. I understand that it’s not easy to tell when your prongs are worn out. So we’ll get real and talk about how to spot and handle worn down prongs. I was minding my own business delivering Mandy’s custom charm bracelet with the grandkids initials and birthstones. It was really gorgeous if I say so myself. And for the record, I never mind my own business. Case in point Mandy went to grab something in the other room and I’d just been introduced to Trudy-from-out-of-town, when I asked to see her wedding rings to check her prongs. 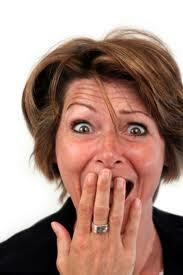 “Oh my God!” shouted Trudy, causing Mandy to run into the living room. 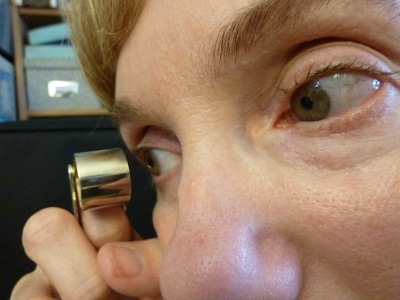 Trudy was looking at her wedding ring under the loupe I’d just shown her how to use. “Mandy, I’m missing two prongs.” Trudy looked red in the face. “It’s a miracle you still have a diamond in your setting.” I agreed. Another diamond saved. But how many go missing? Every day. 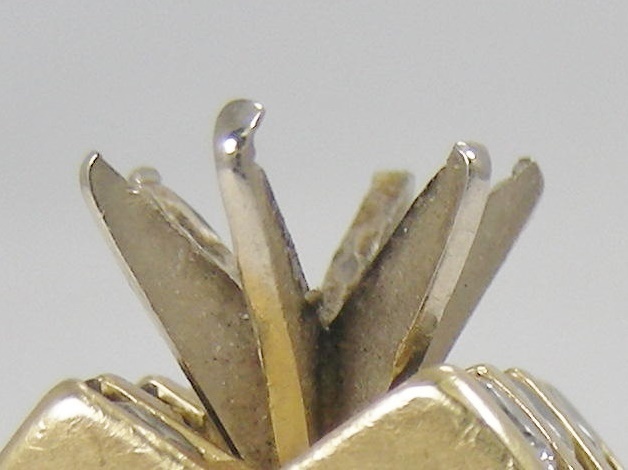 After seeing hundreds, if not thousands of rings over the last couple of decades, I shouldn’t be surprised at the number of broken, cracked and worn prongs I’ve seen. The majority of the time, my clients brought me their rings to get sized, or for gemstone replacement, or for polishing, or for a dozen other reasons. But to get their prongs worked on? Not often. Most women don’t examine their wedding ring prongs closely—much less…frequently. Before I was a jeweler, I didn’t check mine at all. I just assumed they’d magically stay the same. Nor did I look at the tread on my tires, same assumption. But I’ve grown up a bit. I even check my oil these days! The only thing between you and the loss of thousands of dollars worth of gemstones—and heartbreak—is one or two delicate little prongs. So please check your prongs! 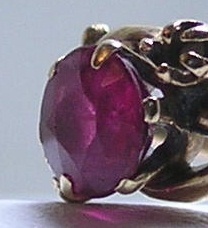 Always check all the prongs on your ring with a loupe (see my blog post on how to use a loupe) or a magnifying glass. Look at each prong from different angles. Make sure they’re completely in contact with each gem. You shouldn’t be able to see any space between your gem and the prong. Occasionally, your prongs catch on things or bump into hard objects and get bent out of place. Bent prongs should always be readjusted or repaired. Immediately! 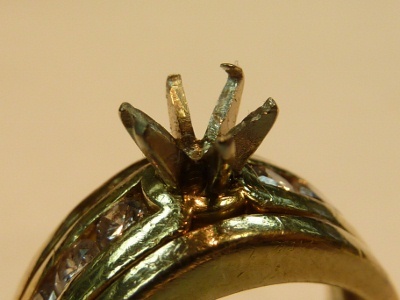 It may only need to be straightened out and buffed up, but a bent prong is a danger to your diamond! Now and then, prongs break off—either completely or at the tips. In either case, your ring should be repaired right away. Don’t even think about wearing it with that broken off prong. You have two main choices with worn out or broken ring prongs. You can re-tip (re-tipping prongs post) each prong or replace the head. 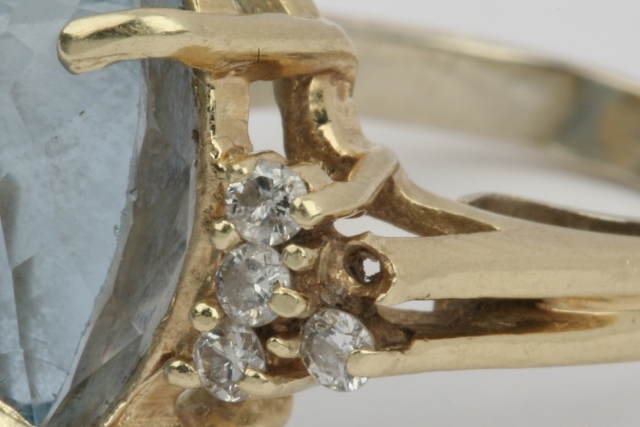 If the ring is old and all the prongs are worn, I often recommend replacing the whole head. The prongs on a new cast head are typically stronger than re-tipped ones. 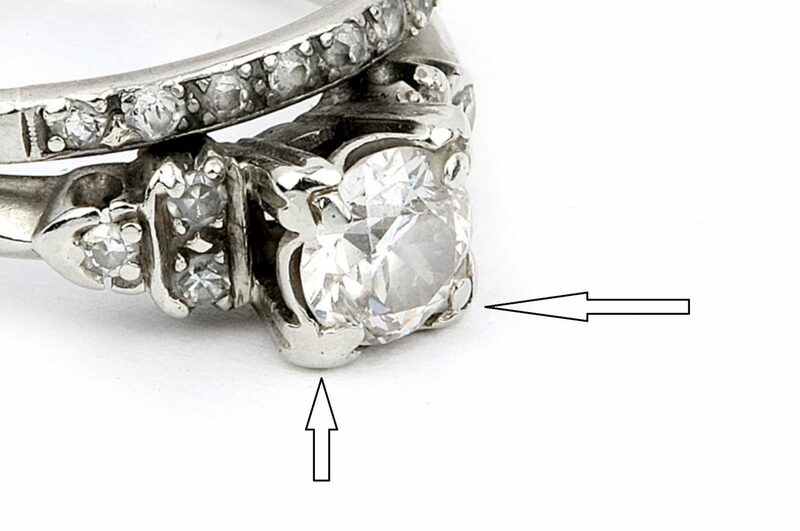 If the ring is newer and the other prongs are OK, re-tipping a single prong is usually the way to go. 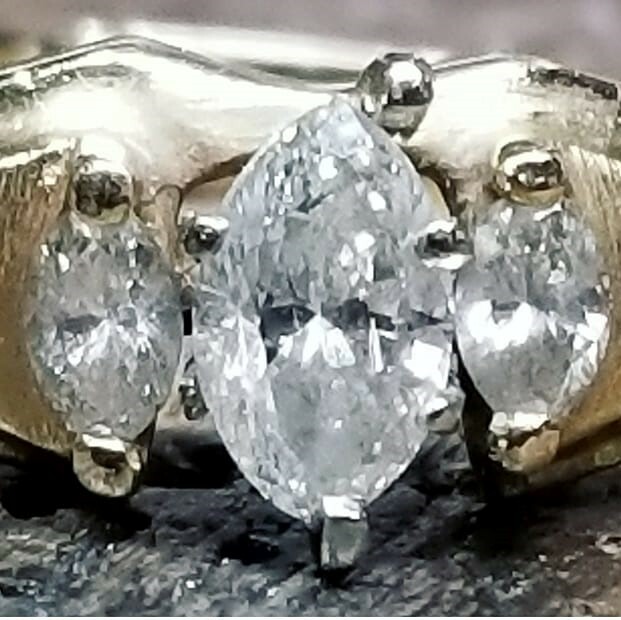 Worn prongs often look flattened out, or what I like to call, “pancaked.” The nice original rounded form of the prong has been worn away and what is left is a weakened, flat substitute. Pancaked prongs should definitely be replaced. The unfortunate thing is that many people say, “I like them low like that they don’t catch on things anymore.” Yes, but they won’t hold your diamond reliably either. You’ve got miles to go in your happy marriage, make sure your prongs get checked just like your tires! Fantastic information ! Can’t tell you how many times I have lost precious gems due to loose prongs. Something we often overlook . 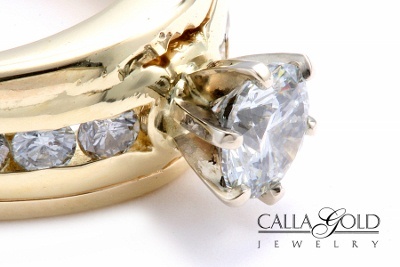 Thank God, we have Calla Gold Jewelry! Great post on rings with stones. I just had a near miss with my diamond when the prongs had worn down and two prongs broke off. Fortunately I found my diamond in my house after searching all day. My jeweler took great care of us. Great advise. I am happy to have come across this article. I have a prong that is sticking up and while inspecting that one I noticed another one was broken. I am taking my ring tomorrow to the jeweler. My wedding ring belonged to my grandmother and very dear to my heart. I received my cluster diamond ring back after a home town jeweler replaced two diamonds. Now the ring looks dark (black) in certain lights. The diamonds look good, but the ring has a different hue when looking at it. What could have happened? I walked out pleased but within 4 hours of wearing it and looking at it over and over again, I know something was wrong. Dear Calla, I have a silver ring that I’ve had for ages – almost 40 years that I had to have cut off my ring finger since it wouldn’t get past the knuckle without extreme pain. My husband had to cut it to get it off my finger. But I still really like the ring and wondered if there’s a way to repair the cut and resize the ring so it fits my finger (to where it’s not pinching it) and get it past the knuckle? any advice would be greatly appreciated on how this could be done.